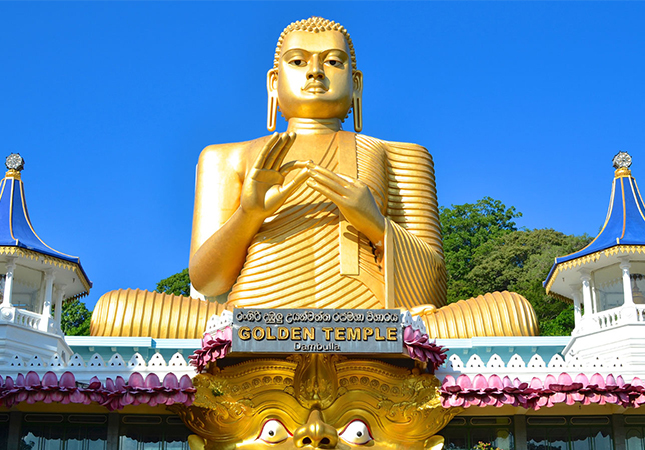 Dating back to the First Century BC, the Golden Temple of Dambulla has been the centre of pilgrimage for Buddhists and Hindus alike for 22 centuries. 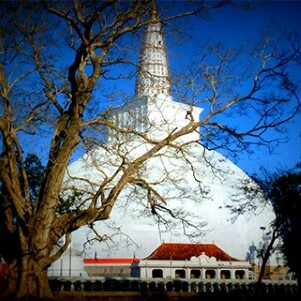 It is Sri Lanka’s most popular historic site. The Cave monastery, home to Buddhist monks is covered with exquisite 2,000 year-old murals depicting the life and times of the Lord Buddha. 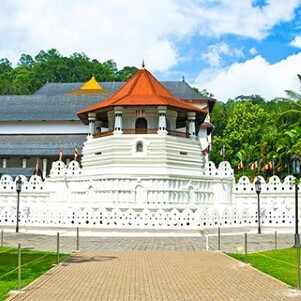 The shrines also house a collection of 157 statues of Buddha in various sizes and poses, including a 15 metre long reclining Buddha and vividly coloured frescoes on the walls and ceiling, making this the largest antique painted surface in the world. 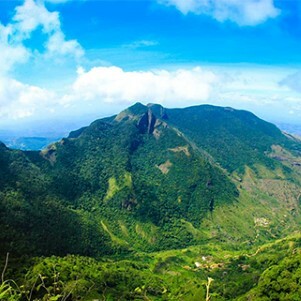 To reach Dambulla’s rock temples, pilgrims and tourists alike must climb barefoot up the sloping ground and several series of stairs almost to the summit, 100 metres above the plain. 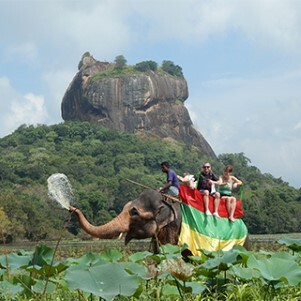 From here, the strikingly distinctive rock fortress of Sigirya is visible, but the five caves or shrine rooms of Dambulla lie just ahead. 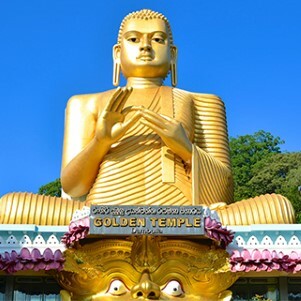 All of these house multiple images of the Lord Buddha, either lying, standing or seated. 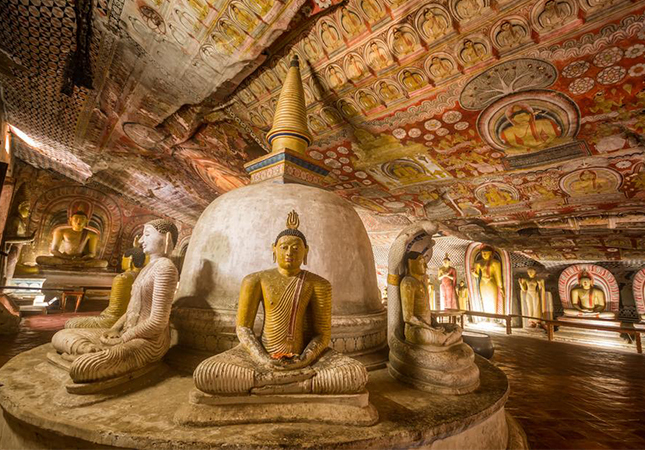 The astonishing frescoes and the sheer size and antiquity of the caves convinced UNESCO that Dambulla should be preserved as a World Heritage Site. The largest and most impressive of the caves, the Temple of the Great King, is 52 metres from one side to another, and 23 metres from the entrance to the back, with the sloping ceiling seven metres at its highest point. 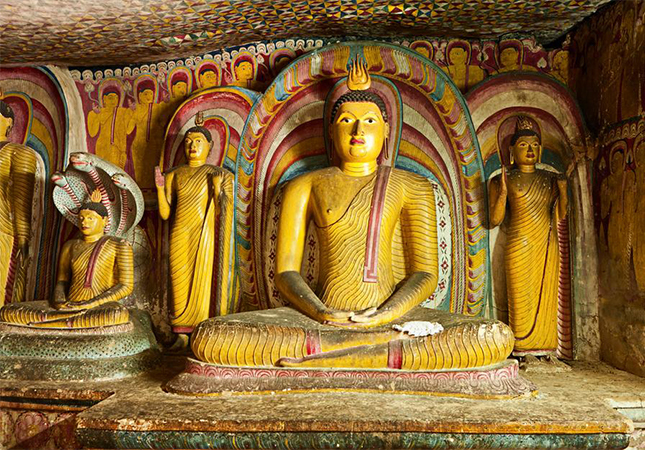 The entire surface of the cave is a mosaic of frescoes with so many themes and styles that it is easy to be overwhelmed.The paintings at Dambulla are representative of many different epochs of Sinhalese Buddhist art, although the classical school of Sinhalese painting (which ceased at the end of the 12th century) is not represented. The so-called New School supposedly influenced by the contemporary South Indian Deccan School — is less successful than the earlier indigenous art forms, using brilliant colour schemes with red and yellow predominating. 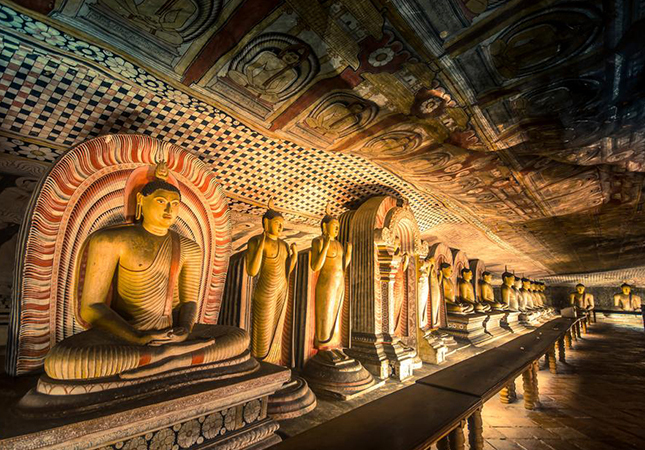 It is not possible to date the Dambulla paintings precisely, since they have been over-painted throughout the centuries. 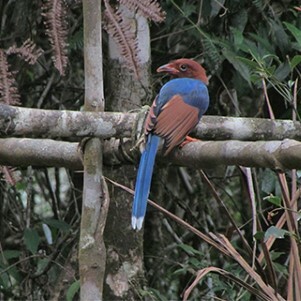 Some, however, were originally done by Kandyan artists during the 17th century. Beyond the endless repetitions of seated Buddhas, and red, yellow and black geometric motifs, there are bands of sinuous tendrils and flowers; stories of the life of Lord Buddha including the Jataka tales relating his previous lives in the Temple of the Great King. 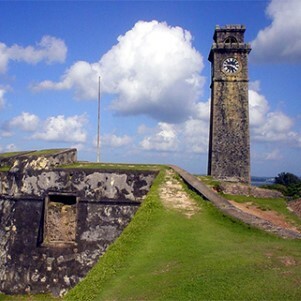 There are also murals depicting battles, and others showing important events in the history of Sri Lanka. 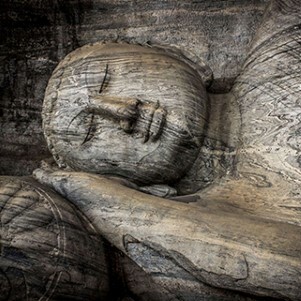 To fully appreciate this unique art, it is advisable to either go with a knowledgeable guide or to wander slowly, focusing on whatever seems to be most fascinating, remembering always that Buddhist art is not designed to be creative or original, but to impart the teachings of Lord Buddha, the Enlightened One.